Samsung has unwrapped its Galaxy S7 and Galaxy S7 Edge just before MWC 2016 officially begins in Barcelona, Spain. Apart from advancements in specs, Samsung has re-introduced microSD slot in Galaxy flagship phones. In a nutshell, the phones are not monumentally different from its predecessor from the exterior however, it reflects refined design (more curvier waistline), an improved chipset, a better camera and latest version of Android. 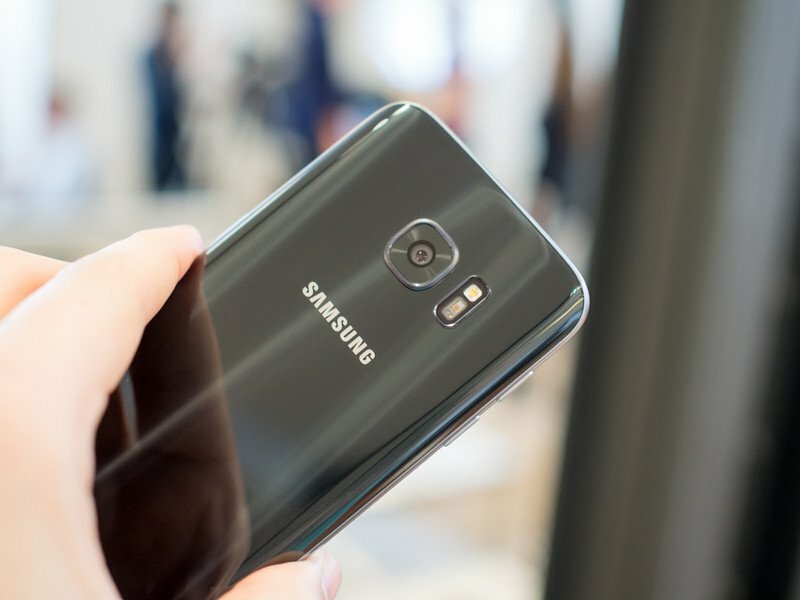 The Samsung Galaxy S7 will go on sale in the month of March. In selected nations, company will start taking pre-orders in coming days. It appears Samsung has been attentively listening to consumer feedback for Galaxy S6 series devices. This is why Samsung has once again embraced storage expansion slot which accepts microSD card up to 200GB and added an IP68 waterproof jacket on both these new devices. IP68 protection means that the phones can withstand in water to depths of 1.5m (4.9ft) for up to 30 minutes. Samsung calls its S7 design as ‘metal and glass’ design which almost replicates design philosophy similar to its predecessors. From colors to finishing everything seems identical to the Galaxy S6 pair. The Samsung S7 gets an improved home button (fingerprint embedded) with a better looking back without that ugly camera bump of S6 series. Samsung claims to have placed camera module more intelligently to ensure a better ergonomics. The makers promise that users will find these new devices less slippery than its predecessors. Once again, Samsung flagship phones will be running Qualcomm’s top of the line chipset. After dumping Qualcomm Snapdragon 810 for in-house Exynos 7420 in S6 series, Samsung has once again decided to source Galaxy S7 series heart from Qualcomm. The Galaxy S7 and Galaxy S7 Edge will feature either Snapdragon 820(only for US, China, and Japan) or Exynos 8890 (for rest of the world including India) under its hood. New galaxy phones will come with 4gigs of LPDDR4 memory as compared to 3GB RAM against its predecessors. In last few years, cameras have become one of the most important facets which influence customers buying decision. It is for this very reason makers are putting a lot more research in camera advancement. Samsung claims to introduce new innovative cameras with Galaxy S7 series smartphones. The company has stayed away from megapixel race and has decreased megapixel count from 16 to a 12-megapixel in Samsung Galaxy S7 phones. As per the company, in Samsung Galaxy S7, it has increased the size of the aperture from f/1.7 rather than f/1.9. Company claims that it has also increased the pixel size to ensure the phone can shoot in low-light condition even without flash. It also claims to introduce ‘dual pixel autofocus’ to lock focus more efficiently. The camera also sports 100 percent PDAF and optical image stabilization (OIS). At the front, the company has also placed an 8-megapixel camera with autofocus for selfie lovers. The Samsung Galaxy S7 screen size remains same as its predecessor while, the device maker has marginally increased the display size in S7 Edge from 5.1-inch to 5.5-inch. Both the flagship smartphones wear a Quad HD resolution (1440 x 2560 pixels) display at the front with 577ppi and 534ppi pixel density respectively. Like recently introduced LG G5, Samsung has also embraced to ‘always on display’ feature which will let you read notifications during standby. The Galaxy S7 features a 3,000mAh battery while Galaxy S7 edge and 3,600mAh battery. Both the devices support fast charging and wireless charging. In terms of connectivity options, Connectivity options includes dual-SIM card slots, 4G LTE support, Bluetooth, Wi-Fi, NFC and micro-USB port (no USB Type C). Samsung S7 runs on latest version of Android Marshmallow which is layered with TouchWiz UI. The new TouchWiz is more or less similar to the recent update pushed on Galaxy S6 series smartphones. The company is also upbeat about the gaming experience Samsung Galaxy S7 and Galaxy S7 Edge has to offer. Samsung comes up with a game launcher, which as per their claims, will enhance gaming performance of the phone and also allow the gamer to record or capture screenshots during play. It also supports Vulkan API which is said to replace OpenGLS ES as the new standard for gaming. Sensors-wise, the Samsung Galaxy S7 is fitted with a Fingerprint, Barometer, Proximity, RGB Light, Accelerometer, Geomagnetic, Gyro, Hall and HRM. The company has a lot riding on Samsung Galaxy S7. Samsung market share dipped by 2 percent in last 2015 as per IDC figures and with the rise of cheap Chinese manufacturers is also not a good news for the Korean tech giant. Samsung will be hoping to continue its dominance in the smartphone industry with these two new flagship smartphones. Company is yet to reveal the pricing of both Galaxy S7 and Galaxy S7 Edge.